The reviews don’t lie! 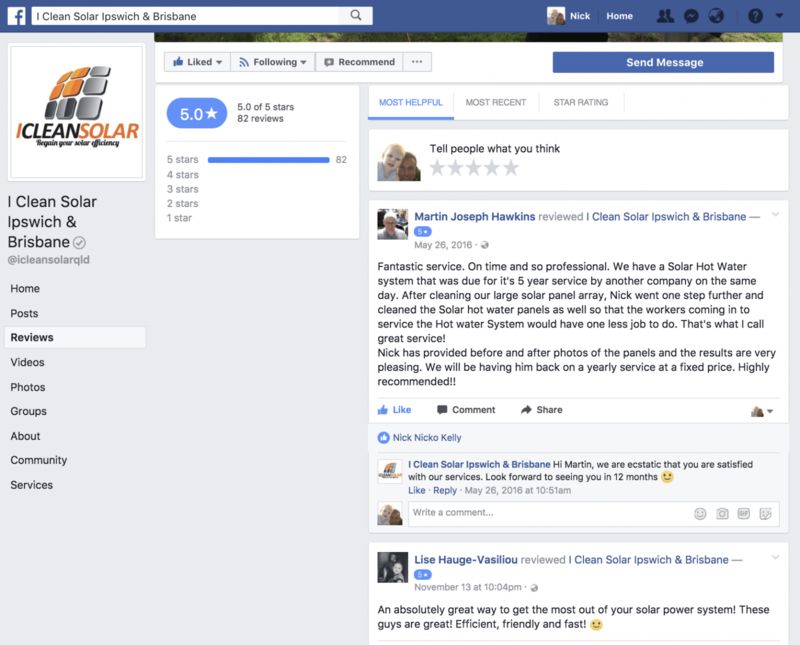 Check out our reviews from solar panel cleaning Ipswich and Brisbane here. Don’t let just anyone up on your roof to clean your solar panels. We are fully insured and experienced in working on tiled and metal roofs, ensuring no damaged will occur on your roof during the solar panel cleaning process. With the best equipment in the industry, not only will your panels be more efficient, they will also be in safe hands. Prior to carrying out solar panel cleaning, we carry out a visual inspection of the inverter and panels and provide a written condition report. For pricing, click here. When did you last have YOUR solar panels cleaned? Take advantage of our Summer Clean Special, up to 12 panels pro cleaned for $99 PLUS if you have solar hot water panels we will clean those for FREE! Price also includes visual inspection and report. For more info or to make a booking, please enter your details or call 1300 185 330. To keep browsing our site, click anywhere outside of this box. Your personal details will not be shared with any 3rd party companies.